What Time Is Deontay Wilder vs Stiverne Tonight? What time is Deontay Wilder vs Stiverne tonight? Estimated ring walk times across the different time zones. The pair will once again meet for the WBC heavyweight world championship tonight in a rematch that came out of nowhere. Following a failed drug test from a previously scheduled opponent, Wilder now faces the man who he initially won his heavyweight title from a couple of years ago. 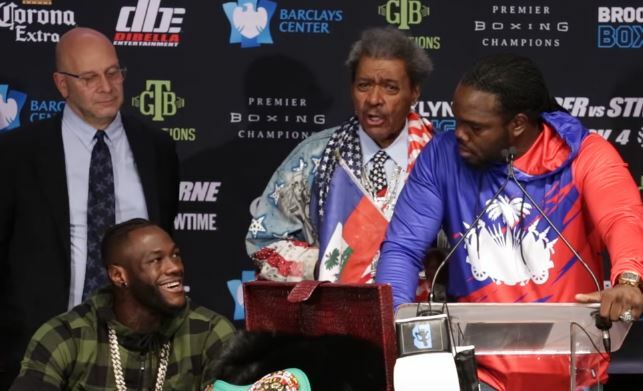 Stiverne has been deadly serious in the build-up, promising a knockout and knows his best chance perhaps lays in trying to stop the champion early due to the late notice of the fight. So, what time is Deontay Wilder vs Stiverne in tonight’s boxing action? First a look if you are from the USA. Coverage of the event will start at 9pm ET. The expected ring walk time for the main event is earliest approximately 10pm, but it could be a little later depending on TV schedules from Showtime who will broadcast the fight in the US. 6pm coverage start, earliest ring walk for the main event at 7pm PT. The fight will be shown live on Sky Sports with coverage in the UK and Ireland starting at 1am Sunday morning, earliest ring walk for the main event being 3am.